1. It’s pomegranate season. 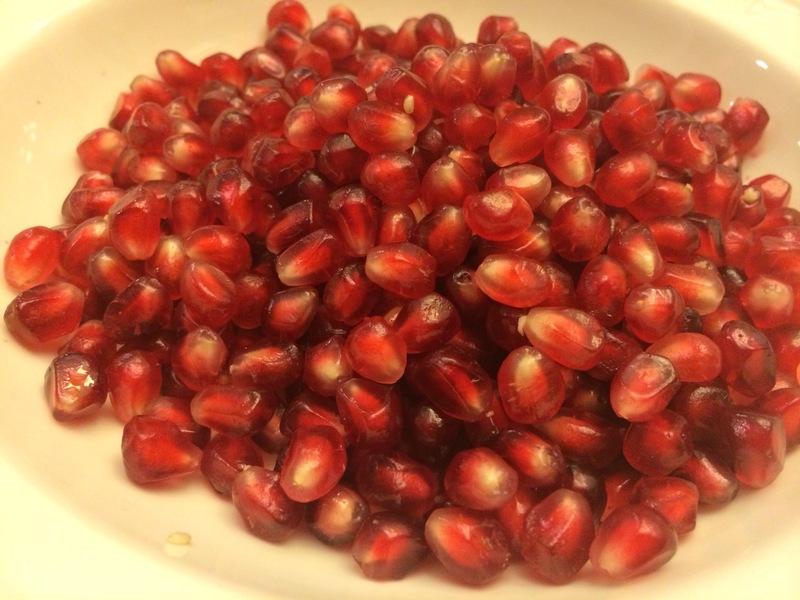 I’ve been scouring Costco for the last few weeks and finally the pomegranates came in. We all love the meticulous process of getting the seeds out and into a bowl. There is a lot of hand slapping to keep fingers out of the bowl until the job is done, and we can ALL enjoy them together. Yum!!!!! 2. This is my home screen on my phone. There are those little red bubbles that stress me out. 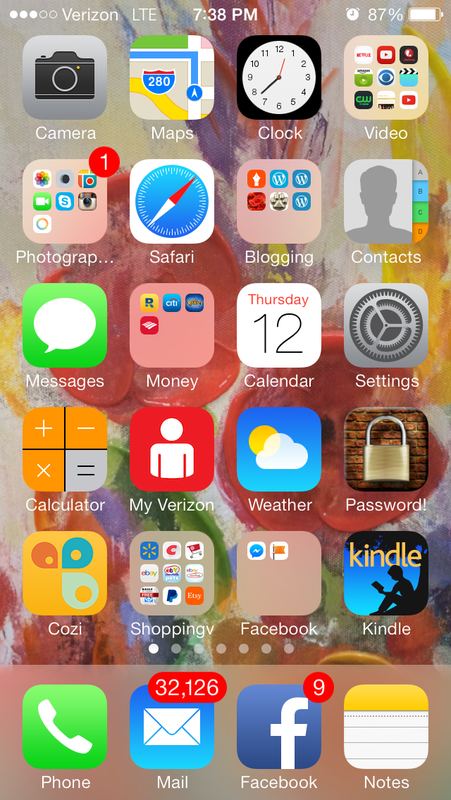 I did cut my email bubble in half last Wednesday. I’m still happy about that. And I’ve kept up on deleting or archiving the current emails that come in. Progress. 3. My To-Do list for Friday afternoon. Planning to recruit the kids to help me. 4. 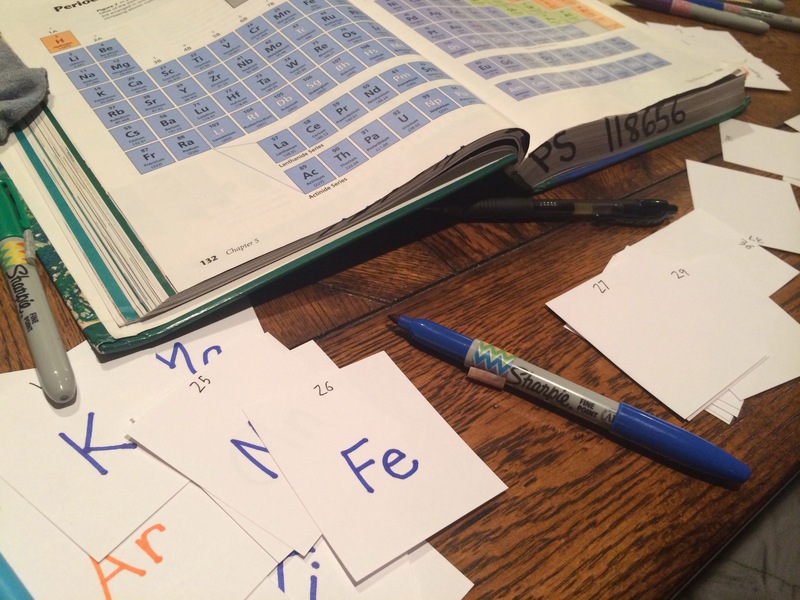 Helping my Freshman with science homework. It was actually enjoyable sitting at the table together and attacking this periodic chart. Our efforts paid off. He got 49.5/50 on the quiz the next day. This entry was posted in Computer Boy, Family, KMc on November 12, 2015 by gracewithouttears. It’s evening and I’m sitting here listening to my daughter practice the piano. Every note is joyful to my ears. When she was 5-8 years old, we took piano lessons, but she struggled and it was a lot of work to get through the practice sessions. We then moved 2 states away and went for 5 years without lessons. During that time, she would always go back to the piano and play what she could remember. I knew deep down she really liked it, so when she started school this year, I put her back into piano lessons. She has improved so much in the past few months I couldn’t be happier! Her sight-reading has improved and her fingers are beginning to fly over the keys without effort! She has received numerous compliments about her hand position, and I’m happy for all the positive feedback she has received. Most importantly, I’m happy that she enjoys the process, and I see piano lessons in her future for the next few years! Life continues to march forward. The weather here is bi-polar. One day it looks like spring is on the way. The next day we have 5 new inches of fresh snow. We already took the snow tires off the vehicle, but I think we jumped the gun a bit. We’ve thought several times that we should put them back on, but I think we will squeak through these last few weeks of winter without sliding off any roads. I’ve been ignoring the paperwork. I just hate all the papers that come into my mailbox. I’d like a personal secretary to deal with all the papers in my life. I’ve gathered them here on the table so I can begin to deal with them. I’m not sure how the electricity is still turned on, as I don’t remember the last time I paid the bill. This is our table this evening. It is very lived on! Every single item on the table holds some sort of significance. 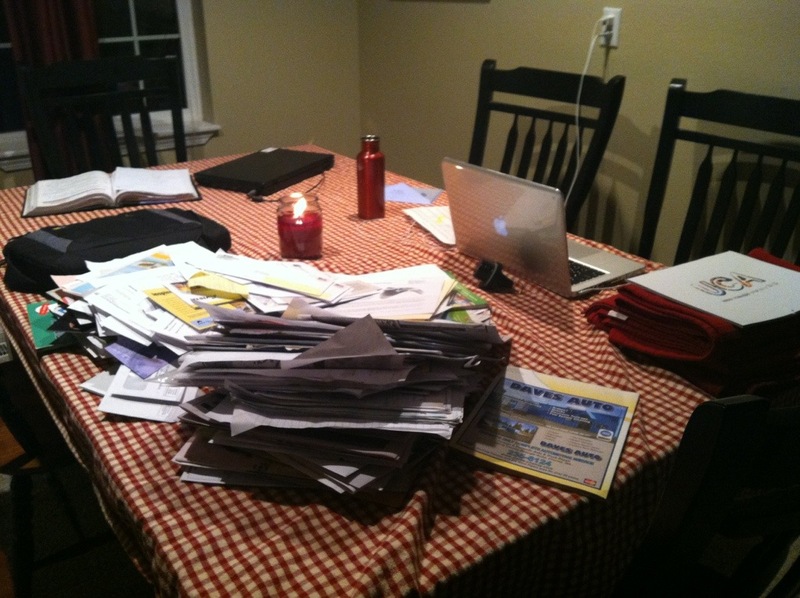 -Front and center is the awful pile of papers that I must attack tomorrow. There are all sorts of unpaid bills in that pile, several from doctors and hospitals, and I’d like to just pretend they are not there, but they are. -Bookworm Boy’s computer case is next to the left, and then his Geometry book. He was sitting here doing homework for a while, and now he’s disappeared. I’ll be calling him back soon to be sure he has finished everything for tomorrow. His computer is next in the back corner. -The center of the table holds a glass candle from Walmart. I am very excited about the candles from Walmart. I LOVE candles, and in the winter, always want some burning in the house. It brings a calm atmosphere, and the flickering light is just somehow very soothing after a long day. It’s something I do for me, something that I like just because, and it’s like a little gift to myself every time I see a candle burning! I like having the candles in a glass jar as they seem a little safer, plus the wax can’t make a mess dripping anywhere. I’ve discovered that the Walmart Mainstays brand burns evenly to the edges, a characteristic that I thought only could be found in a higher end candle. Because of this, I see myself buying candles at Walmart much more often. In fact, every time I’m there now, I’m always looking to see if there are any on sale. Yesterday I was able to pick up Jasmine tea lights (16 per pack) for $1 each!! I bought all 8 packs that were there! -My red water bottle is generally close to my work area. I’ve been trying to drink more water each day, a goal that is ever before me, but somehow is easy to fail at each day. -My cell phone is always near by. What can I say about my iPhone? LOVE that little gadget and practically run our whole life and business from its tiny little surface. Technology is incredible and I’m thankful for the convenience of it. -The paper just to the right of my MacBook is the class schedule for the school. I was discussing with Bookworm Boy tonight his options for classes next year. He needs one more science class, and he’d like to fit in one “fun” class along with the few required classes for seniors. The Boarding School calendar was also part of the tools for that discussion. -Plugged into the wall is an iPhone/iPad charger. We now have one in the office, one in the living room, one in the dining room, one on each side of our bed, and the kids each have one in their rooms. I have them all labeled so nobody can steal them from one another (a problem that hopefully will be solved now). Can we say electronics overload here? -My MacBook is on the table as I type this post. I love this computer and will most likely be an Apple user for the rest of my life. I loving how everything syncs together without any effort. -The red table-cloth under the calendar is one that I need to “try on” the new table. I think it will be too small, but before I donate it, I want to be sure. -And finally, the red checked table-cloth protects my beautiful wood table, allowing us to work freely on its surface without the worry of scratching or damaging it in any way. I’ll post about my table sometime in the future. It was a gem of a find, and I LOVE it, and want it to last for many, many years. The red checked cloth also reminds me of Laura Ingalls, as she described having a red checked table-cloth that Ma would put on the table in the evening after the supper was cleaned up. There’s probably something nostalgic about using a red check table cover in my own home. Perhaps it provides a sense of family togetherness, or somehow suggests a simpler time when life wasn’t so busy and complicated. If nothing else, it makes me happy to look at it, and every time I can bring “happy” into my life, I will! 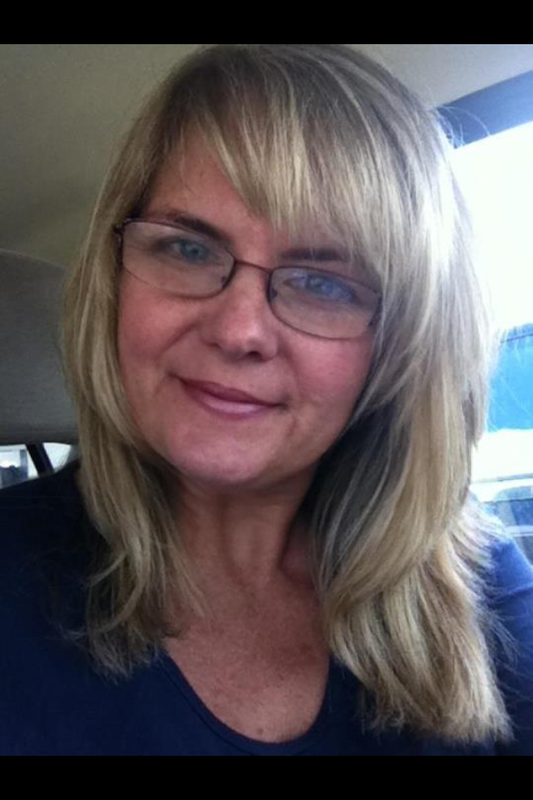 This entry was posted in Country Chatter, Family, Self Care on February 27, 2013 by gracewithouttears. Valentines Day and Aspergers go together like oil and water. I have tried for years and years to “shake them up” and get them to mix, but they just don’t. This year, I decided to do something differently. About 3 weeks ago, while driving in the car with Daryl, I had a lightbulb moment about Valentines Day. I suggested we do a Valentines supper, invite some friends over, and just share the time with people that we enjoy being with. I told him if he would help me a little with the preparation, we could call it good, and he didn’t need to get me anything extra. It sounded like a good plan. 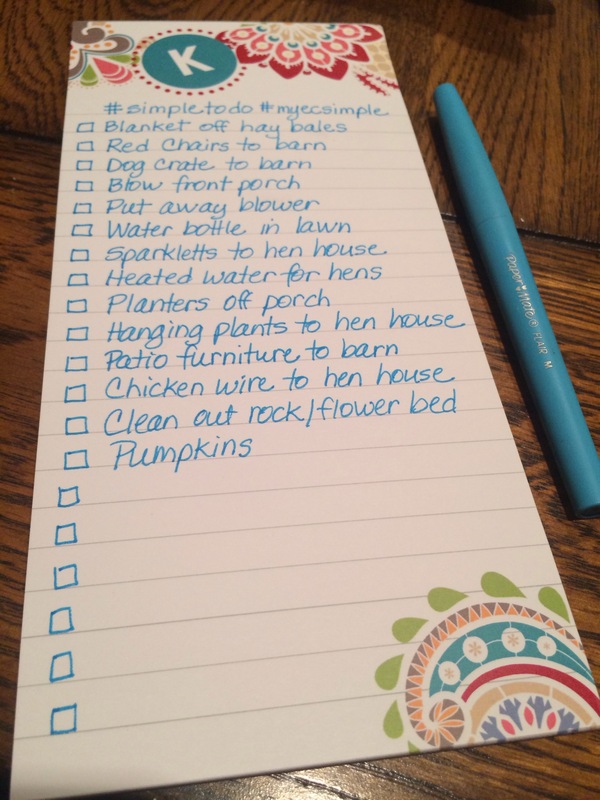 As the weeks got closer, I began to gather the things I would need to pull off my plan. 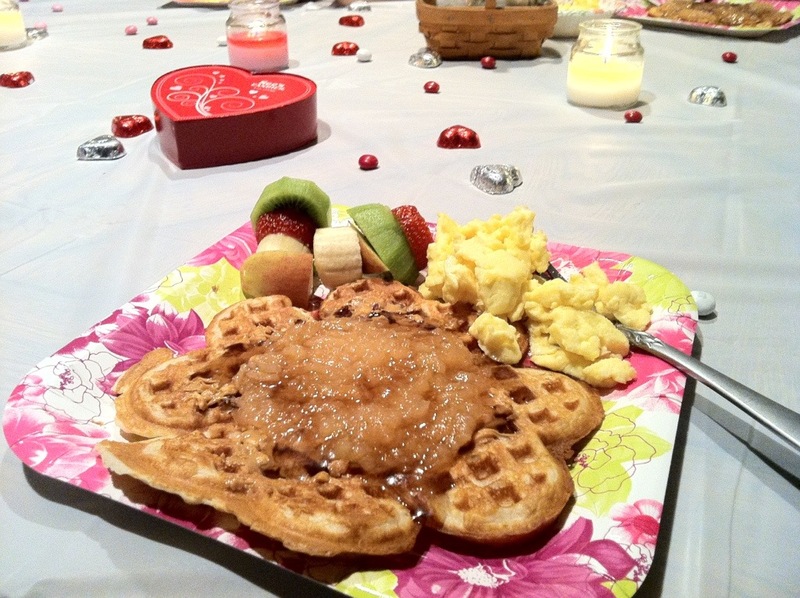 I already had a heart-shaped waffle iron, and knew that I would make a nice waffle supper. 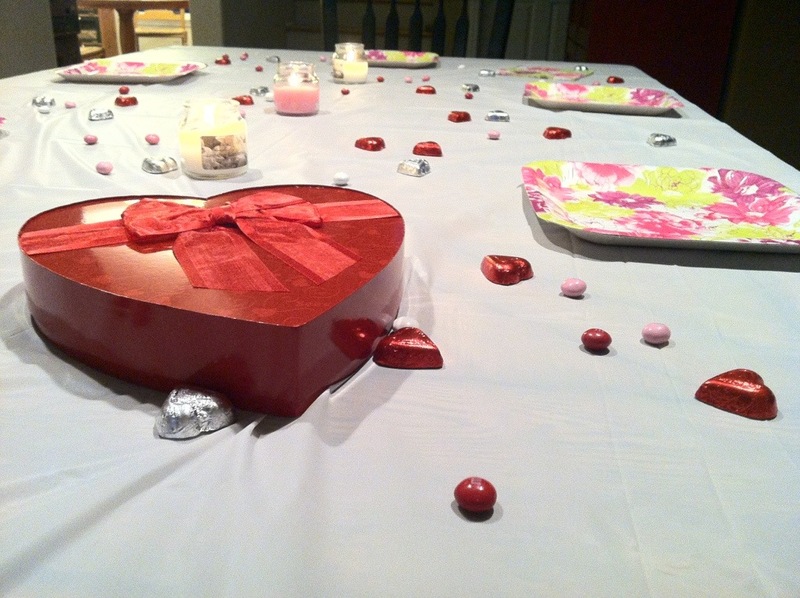 I picked up some Valentine M&Ms and some chocolate Hershey hearts wrapped in foil to toss around the table, and a cheap white table cover to make it a little festive. I am always on the hunt for cute paper plates, so I had some trendy square plates, sporting a fun springy theme, that would work just fine for a Valentines Day supper. Daryl kept his end of the bargain, with some gentle reminding, and helped me by getting two loads of dishes through the dishwasher today, and I got started on the decorations. 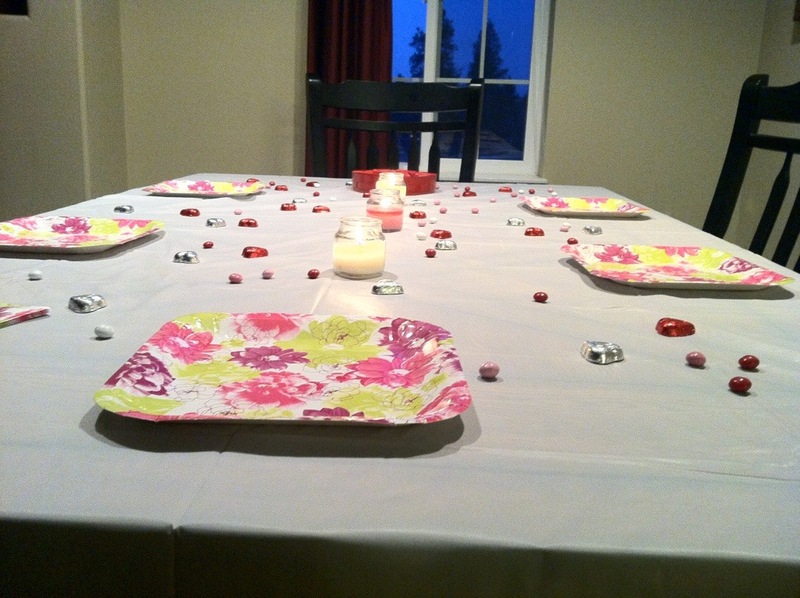 I covered the table and tossed around the candy and found a few candles that were pink and white. I put the plates around and grabbed the vase of flowers from the breakfast table in the kitchen. Things were starting to take shape. Our Valentine celebrations in the past have been anything but romantic or happy, and through experiences that neither one of us want to repeat, a general consensus was established. See’s Candy is an appropriate gift for Valentines Day. So, today, as I was setting the table, Daryl brought in this “expected” gift, said “Here”, handed it to me, and headed upstairs. Yup, that’s how it’s done. No kiss. No hug. No “I love you.” It’s the AS way. I’ve learned to accept it and be happy anyway. So I added the heart box of candy to the table decorations. We then filled our plates and sat down to our meal. Unfortunately, none of our friends were able to come (I only asked one family), so we just enjoyed it with the 5 of us. I was delighted to find out that Daryl bought a tiny heart box of See’s candy for Kaelyn as well, and thanked him for doing that. The menu was heart-shaped waffles, toppings, scrambled eggs, and miniature shish-ka-bobs, that Kendrick made on toothpicks! Aren’t they cute? We shared a happy meal together as a family. The food was tasty and most importantly, there were no disappointments, no inflated expectations, and everybody did their part to help make it a special day. 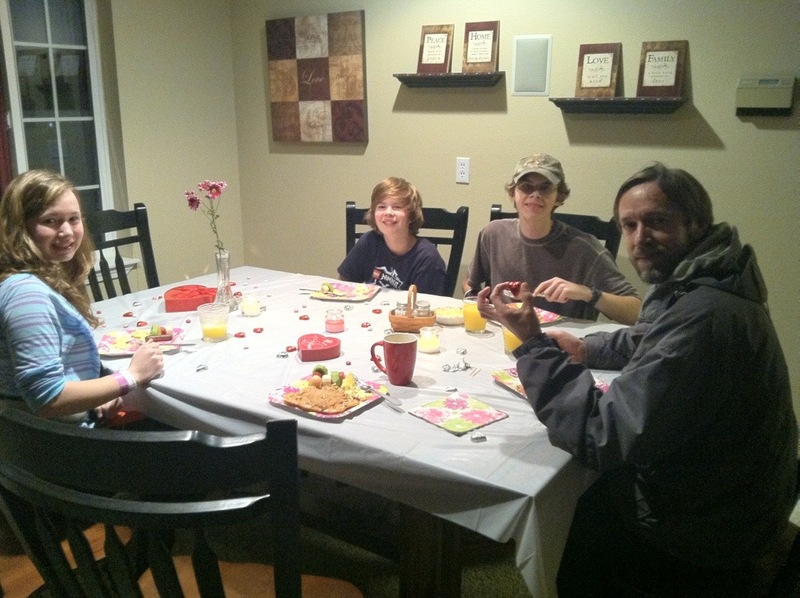 The boys cleaned up the dishes afterwards while the rest of us enjoyed a few moments to relax. I think it’s possible this could become a Valentines Day tradition, only next year, I’ll send out some invitations ahead of time so people will have a chance to make it a priority on their calendars. 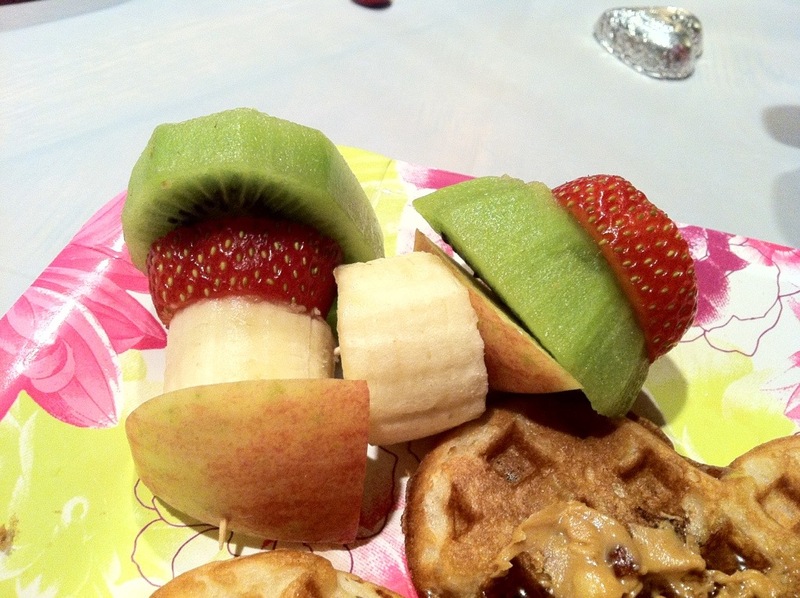 This entry was posted in Asperger Solutions, Family, KMc's Kitchen on February 14, 2013 by gracewithouttears.